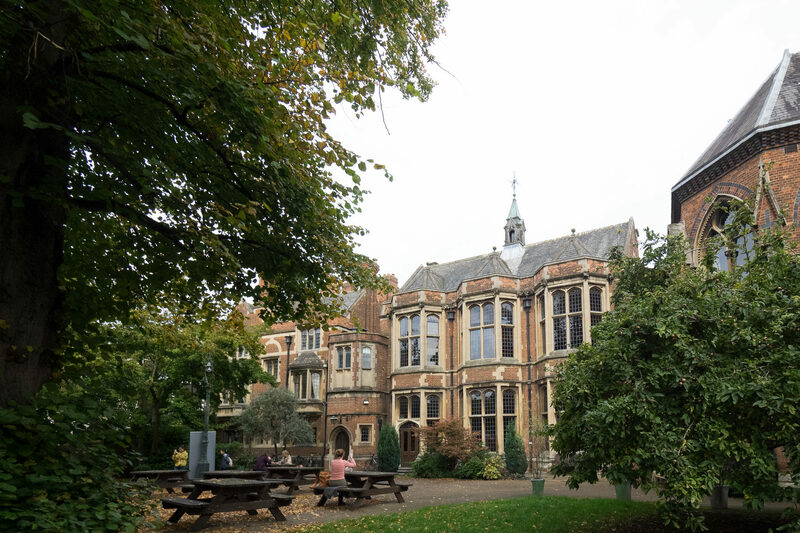 Building upon our two previous Altius Themes (‘The Brain of the Future: Artificial Intelligence, Robotics and Automation, and Politics in the Age of Thinking Machines’ in 2016, and ‘The Future of Communication: An Opportunity for Humankind and a Challenge to Democratic Societies’ in 2017), this year we will explore the Why and the How-to empower the Human Mind, as a means to ensure the stability of democratic societies and major economies in the 21st century. The rapid expansion of decentralized communication platforms, such as Facebook, WhatsApp, YouTube and WeChat, combined with the development and widespread adoption of artificial intelligence technologies, will drive a major transformation of the model of economic growth, labor markets and wealth creation, while posing significant pressure in democratic processes. These trends highlight the importance of empowering citizens, both in terms of skills training as well as their overall critical thinking for democratic participation, as the single most relevant factor to ensure viable economic growth while preserving social and political stability. Beyond a traditional analysis of ‘Education’, we will explore topics such as the need for developing critical thinking and understanding in our contemporary societies; the future of educational institutions amid the rapid economic and social transformation enabled by technological disruption; training and instruction to prepare for increasingly complex economies and societies; the need to redefine human values and citizenship and the requirement of a new paradigm of national and global governance; and chiefly, the empowerment of the human mind, to build on the benefits of the Age of Artificial Cognitive Machines, while overcoming the challenges of large scale automation and the disruption of communication technologies: the ‘machine’ as a means to augment rather than substitute human potential. Major questions arise in light of this transformation. 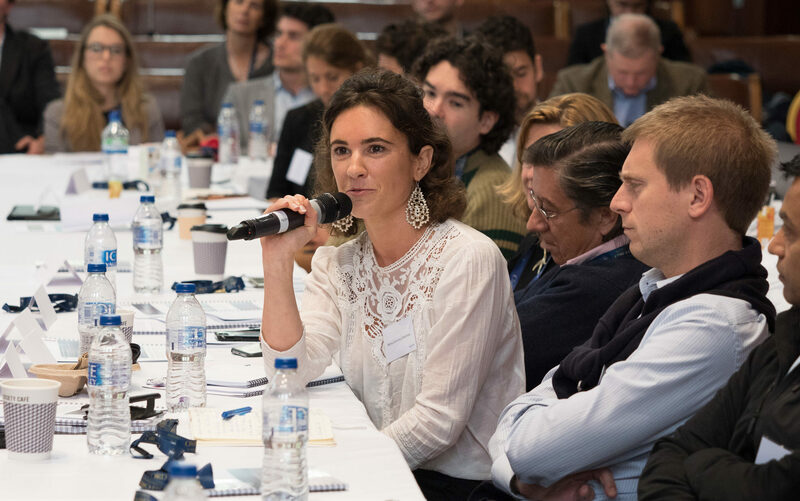 What kind of ‘minds’ must we build to cope with the challenges of this interconnected world, in which abundance of information does not necessarily lead to an adequate development of human capacities? Can we enable a true ‘Renaissance of human thinking,’ or will the increasing presence of technology in virtually all domains of human existence negatively affect human knowledge and the fruitful exchange of ideas? This Theme will allow us to explore one of the most significant vectors of change of our time: The Rise of the Human-Machine Collective Mind, understanding ‘machine’ as a concept beyond its physical connotations. 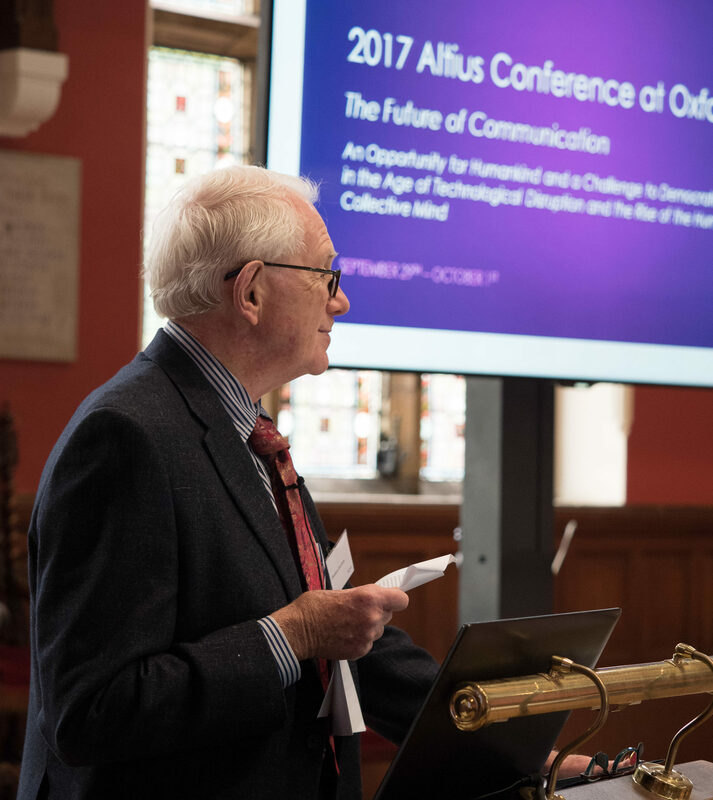 Applications to participate in the 2018 Altius Conference at Oxford are now closed. 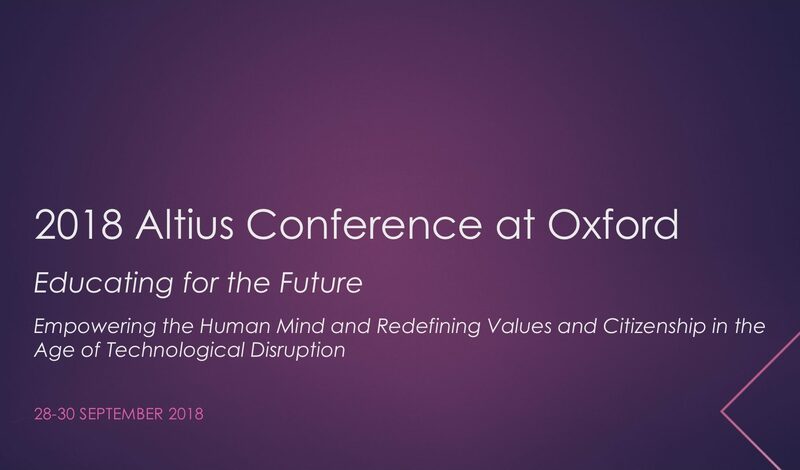 If you are interested in participating in the 2019 Altius Conference at Oxford (4-6 October, 2019) and you are not yet an Altius member, please apply through this website since April 30th, 2019.